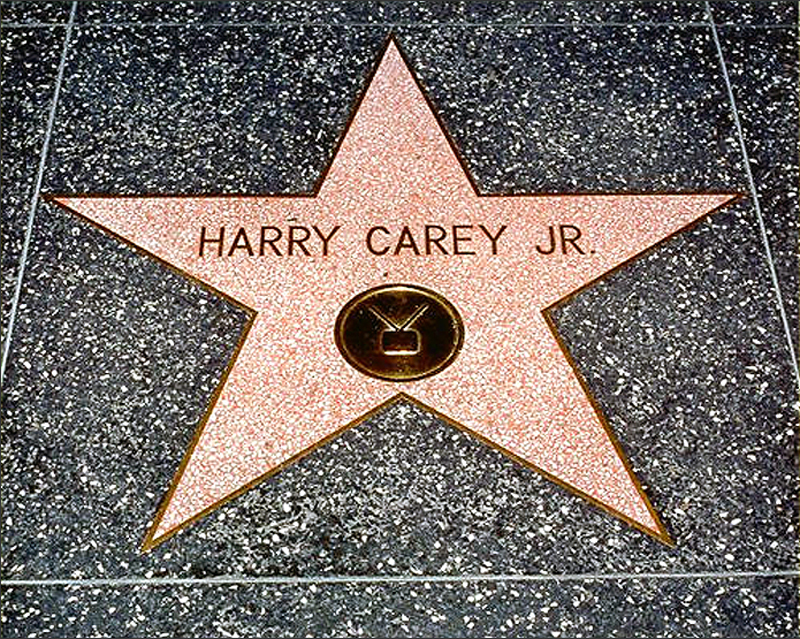 Harry Carey Jr.'s star on the Hollywood Walk of Fame is located at 6363 Vine St. It was awarded not for film, but rather for his work in television. About Harry Carey Jr.: [Adapted from harrycareyjr.com]: A Western character actor, Harry Carey Jr. is the son of early Western star Harry Carey Sr. and actress Olive Carey. He was born May 16, 1921, on his parents' ranch in San Francisquito Canyon (Saugus). He was nicknamed "Dobe" when he was a few hours old because his red hair reminded his father of the red soil in the area that was used to make adobe bricks. His sister, Ella, came along two years later (Nov. 16, 1923) and was nicknamed "Cappy" because her father, Harry Sr., was "captain" of his boat, the Ella Ada.